Endless Blue from Syros is located at the beach in Fabrika, Syros. The rooms provide sea view. Room amenities include air-conditioning, heating, tv, fridge, etc. The kitchen is equipped with microwave, hot plates, oven, dishwasher, fridge and kitchen utensils. The WiFi is free and available in all areas of the villa. Endless Blue from Syros does not accept pets. Fields with * are required. 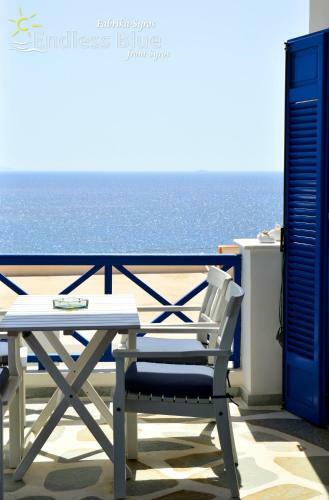 The enquiry is sent directly to Endless Blue from Syros.